I have defended Darwinian conservatism as a fusion of libertarian conservatism and traditionalist conservatism. Libertarians like Timothy Sandefur have objected that my Darwinian science supports libertarianism but not traditional conservatism. My responses to Sandefur can be found here, here, and here. In general, I have found that traditionalist conservatives are far more suspicious of Darwinian conservatism than are libertarians. And I am sure that Sandefur would say that that confirms his argument. But I persist in my thought that American conservatism really does require a fusion of libertarianism and traditionalism, and that Darwinian science sustains that fusion by supporting the common ground of conservative thought, which is a conception of human nature as imperfect in knowledge and virtue. Mark Henrie has written an excellent essay on traditionalist conservatism, which can be found here. Much of what I have written in response to Sandefur would apply to Henrie as well. 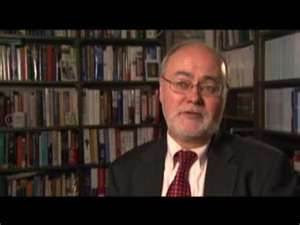 Although Henrie stresses the differences between the traditional conservatism of Edmund Burke and Russell Kirk and the classical liberalism or libertarianism of John Stuart Mill and Friedrich Hayek, Henrie acknowledges that Burke was a Whig, and that Kirk's Burkean tradition is actually a "liberal conservatism" that combines liberty and tradition. To me, this points to conservative fusionism. Despite their personal disagreements, Hayek and Kirk had much in common. After all, Hayek identified himself as a Burkean Whig. And this commonality between Hayek and Kirk was similar to the commonality between Adam Smith and Burke. Henrie speaks about the need for "boxing in liberalism," which resembles Peter Lawler's phrase about "putting Locke in the Locke box." A traditionalist like Henrie is not a complete reactionary (like Joseph de Maistre), who would go back to medieval absolutism and theocracy. But neither is he a complete liberal who erects liberal individualism as the only principle of the good. Henrie writes: "Liberal conservatism does not dogmatically reject the role of individual consent in politics, but nevertheless retains a conviction that the human world cannot be wholly reconceived or reconstructed on that principle." I agree with this, and I would say that this is what Hayek called "true individualism" as opposed to "false individualism." "True individualism" recognizes the need for private property, religious liberty, and limited government as conforming to the imperfections of human nature. We cannot trust anyone with absolute power, which tends to corrupt. But individual liberty is a means rather than an end. It provides the conditions within which human beings can pursue the human good as the satisfaction of their natural human desires. Darwinian science confirms this by showing that human beings by nature pursue a wide range of natural desires, and thus a good society is one that allows human beings to pursue that human good. As Henrie indicates, a traditionalist conservative believes that the pursuit of the human good requires family life, moral education, religious belief, and private property. Darwinian conservatism shows how those conditions are rooted in the evolved nature of human beings. Henrie indicates that traditionalist conservatives like Kirk often expressed a nostalgic sympathy for the cause of the antebellum South. And yet he insists that Southern conservatives do not lament the passing of slavery. Is that true? Kirk often praised John C. Calhoun, and Calhoun praised slavery as a "positive good." In fact, he insisted, the liberty of the slaveholders depended on the existence of slavery. Did Kirk ever denounce slavery? Did he ever explain why the proslavery Southerners were wrong? Did he ever indicate how they were mistaken in appealing to Biblical religion as supporting slavery? Why is Henrie so evasive about this great moral issue? With respect to foreign affairs, Henrie suggests that traditionalist conservatives are suspicious of the Wilsonian idealism and messianic rhetoric that have led to the Iraq war. But, again, here is another point of agreement with the libertarian conservatives, because they too have been deeply skeptical about the democratic imperialism of Bush's foreign policy. And, as I have indicated in various posts on this blog, Darwinian conservatism would tend to recognize the Iraq war as a utopian folly that caters to the glory-seeking ambition of the presidency--or what Harvey Mansfield foolishly praises as "manly nihilism." Did Kirk ever denounce slavery? Did he ever explain why the proslavery Southerners were wrong? Did he ever indicate how they were mistaken in appealing to Biblical religion as supporting slavery? Kirk did express annoyance with Calhoun and others for linking their conservative projects with antebellum slavery in his The Conservative Mind. Yes, you're right. Kirk rightly complains that both John Randolph and Calhoun showed a lack of prudence in defending slavery, even if they were provoked by abolitonist extremism. Kirk indicates that Southern conservatism has long been crippled by the corrupting effects of slavery and proslavery rhetoric.